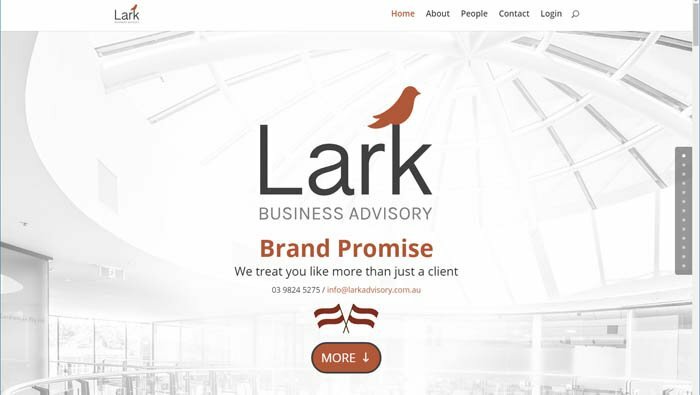 When we first meet with the team at Lark Advisory, we knew we needed to give them a website that showcased the differentiated service they offer to clients. 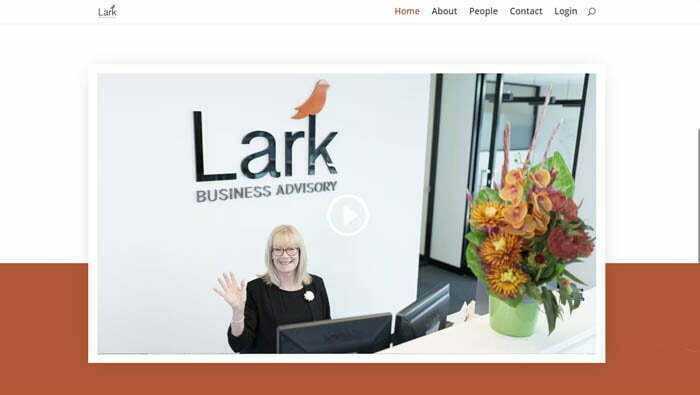 Lark provide practical taxation and accounting advice in a fun, friendly and down to earth manner, with their client relationship at the forefront. 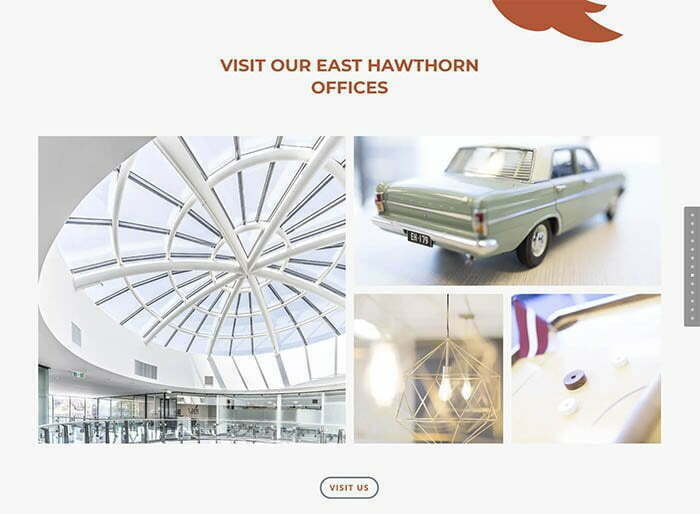 Their stunning east Hawthorn Offices, classy logo and branding and personalised service provided a lot of inspiration for the design of the site, which makes heavy use of images captured during an extended photography shoot that we undertook to support the build. 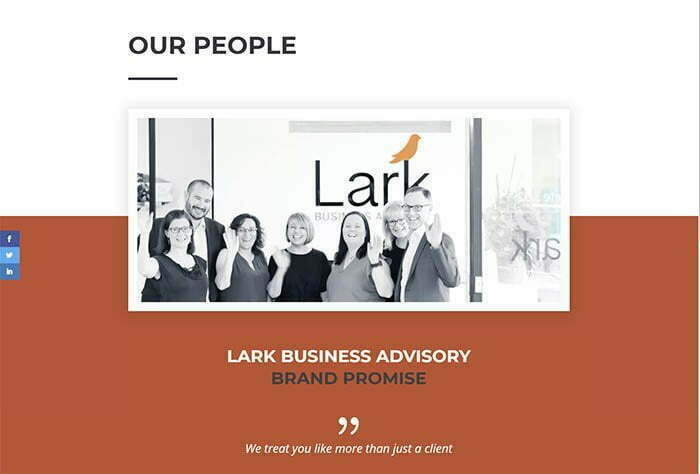 The photo shoot focused on the many aspects of Lark’s personality and location, as well as the Latvian culture of CEO Eric Cirulis. Find out more about are website development and hosting and support services.